Breakfast in room. Pool, Moto parking, joyful people. Owner was very accommodating. Great value and terrific location to beach. Pogled je prekrasan, soba je izuzetno cista i uredna, sve je bilo odlicno, rekao bi da je vise nego u skladu sa cijenom. Plaza koja se nalazi na kilometar od apartmana je fenomenalna pjeskovita plaza prikladna za sve. Hosts were very friendly and helpful, the view from the terrace was lovely especially at sunset, it was just off a main road but very quiet. The accommodation is well placed to tour this part of the island but a car is essential. Very quiet area, close to Kaminia beach. Rooms are exactly like advertised. Kitchen had everything you want, no need to bring anything. They can cook the breakfast for you and even bring it to your room thanks to a lovely girl named Christina. 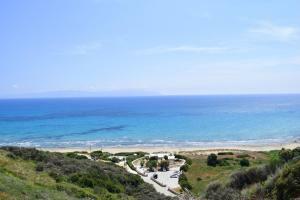 Property is close to Skala town wich has a realy nice beach and a lot of restaurants and bars. Wonderful views, lovely and quiet. Kids loved the clean pool. Lovely modern clean apartment Christina was so lovely and helpful. Perfect if you want a relaxing and clean base to explore the island. Will definately be going again! Lock in a great price for Ostria's House – rated 8.7 by recent guests! 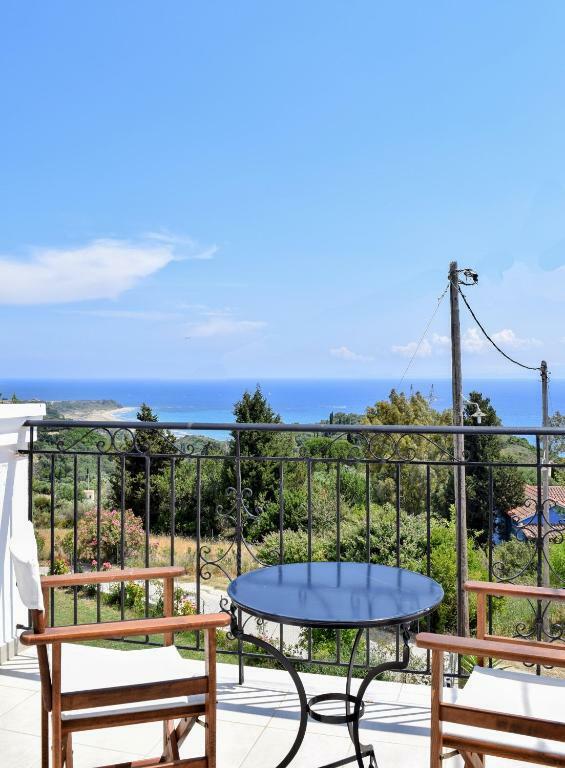 Ostria´s House lies in the south-eastern tip of Kefalonia, in the picturesque village of Ratzakli, at the district of Skala. The port is only a 20-minute drive away. Guests enjoy free Wi-Fi and barbecue facilities. 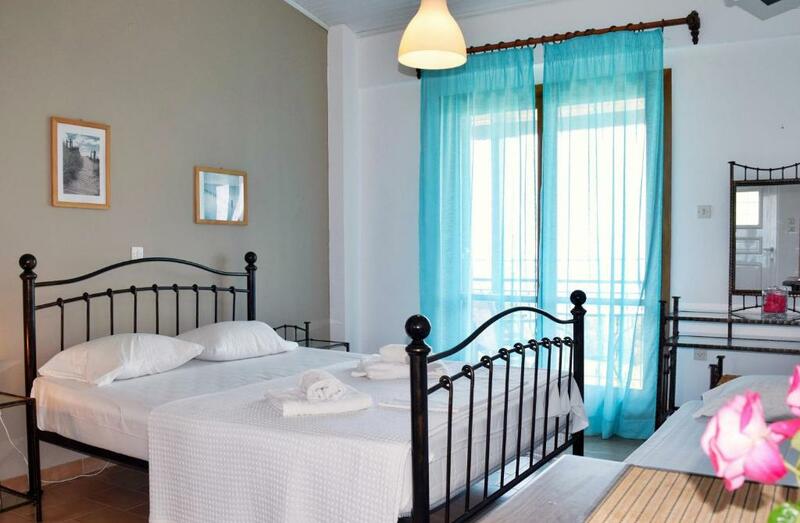 Ostria´s House offers self catering studios and apartments with overwhelming views of the long sandy beach Kaminia, the swimming pool or the garden. Each studio has bathroom with shower and a small kitchen with cooking utensils, a fridge, air conditioning and TV. Apartments also feature a living room with TFT TV. 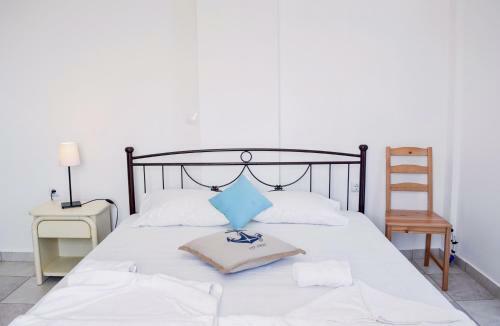 Kefalonia International Airport is a 30-minute drive. 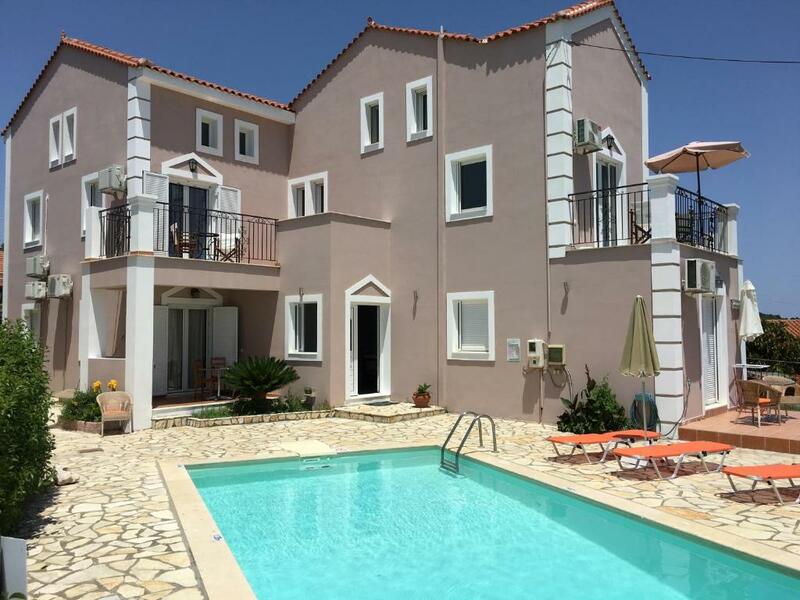 When would you like to stay at Ostria's House? 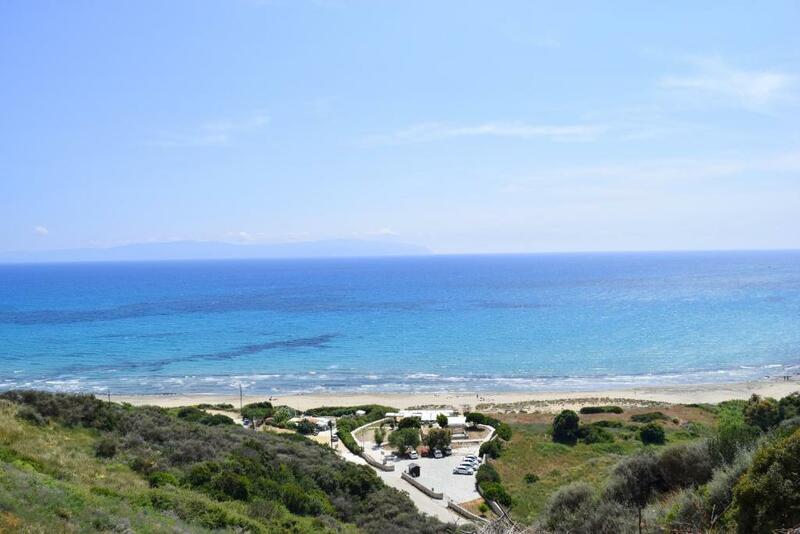 Offers views of the long sandy beach, the swimming pool or the garden. Breakfast can enjoyed upon charge. House Rules Ostria's House takes special requests – add in the next step! Ostria&#39;s House accepts these cards and reserves the right to temporarily hold an amount prior to arrival. Ostria's House accepts these cards and reserves the right to temporarily hold an amount prior to arrival. Please note that airport shuttle service is provided upon charge. 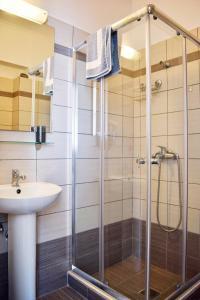 Guests who wish to use this service must contact the property at least 3 days prior to arrival. Very little to dislike. I personally found the double bed uncomfortable and moved to a single bed in the lounge to sleep better. The controller for the lounge aircon did not work (or the aircon itself). Slight leak from toilet cistern onto bathroom floor. 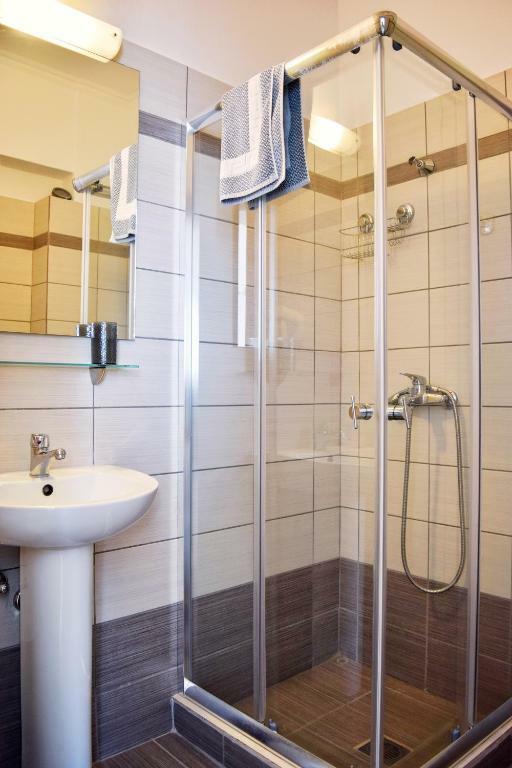 Toilet rather close to shower enclosure. All minor issues relative to an overall, very enjoyable stay. 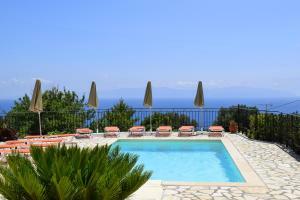 Excellent location 3 minutes from a superb beach and less than 10 minutes from the amenities of Skala. 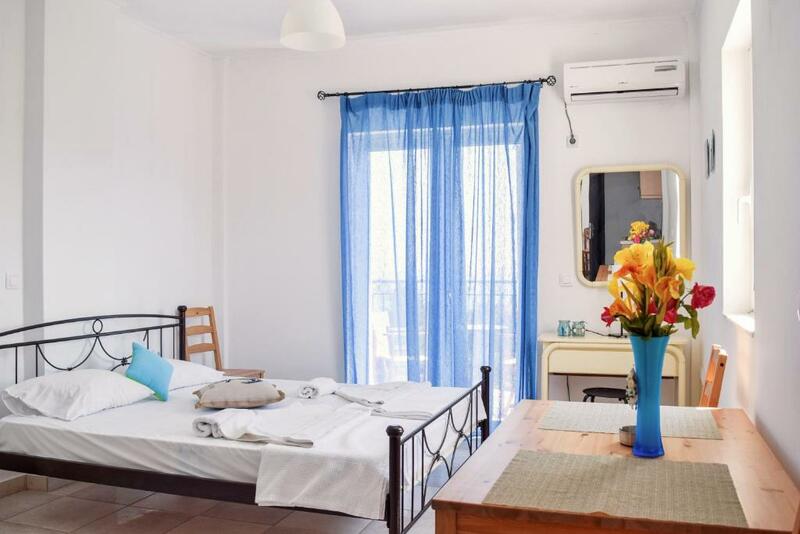 On arrival, we upgraded from a standard studio to a one-bedroom apartment, bigger and more modern with better cooking facilities. 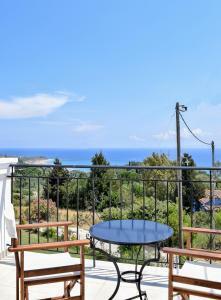 Wonderful balcony and sea views. Delightful and helpful hosts. Can highly recommend and will be back! The facilities in the room were basic, we booked self catering but there was no kettle and the kitchenette was ill equipped. The only down side was during our stay the pool turned a dark green. The owner tried to treat but in my opinion it was untreatable & needed to be cleaned & fresh water added. Eventually they did this. However the pool was out of action for approx 4-5days which did slightly spoil our stay, as this was one of the reasons we chose the apartments because it had a pool. Apartament was to small for family of 4. Beach is 3 minute drive, not walk, but that is ok. Parking is mostly outside the property. Please be advised that the famous beaches like Antisamos, Myrtos, Petani, Avithos, etc. are a minimum 1 hour drive for the closest of them. 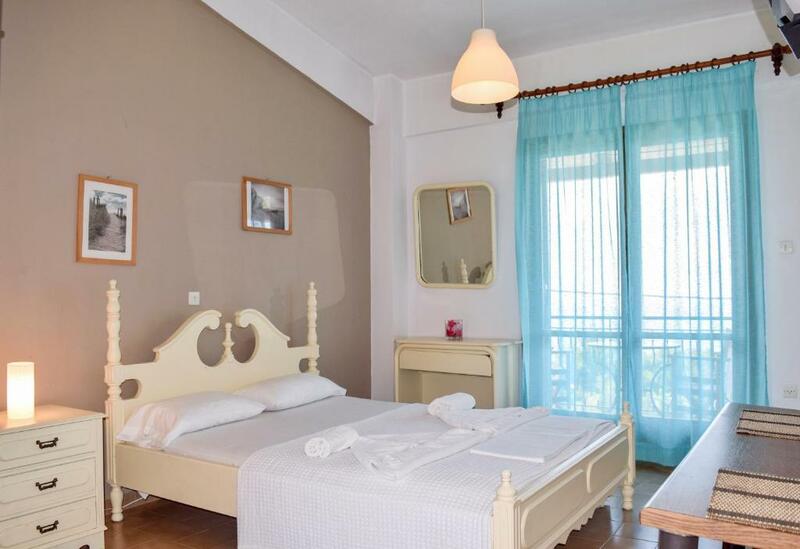 Nice location, close to the beach, very quiet and relaxing. Staff- Christina is amazing! The view is amazing, the pool is was lovely after a day at the sea. The chilled vibe. Breakfast delivered to balcony every morning. Everything. We absolutely loved being there.